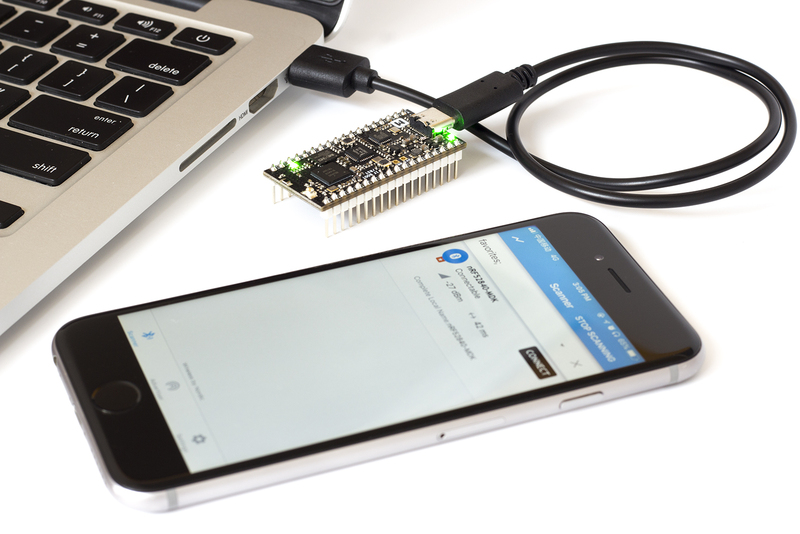 On this post I'll show you how to connect and power up your nRF52840-MDK, and what to expect when you do so. This will take about 20 minutes. You need a reasonably current Mac/Linux/Windows PC and a iPhone or Android phone to perform the following. 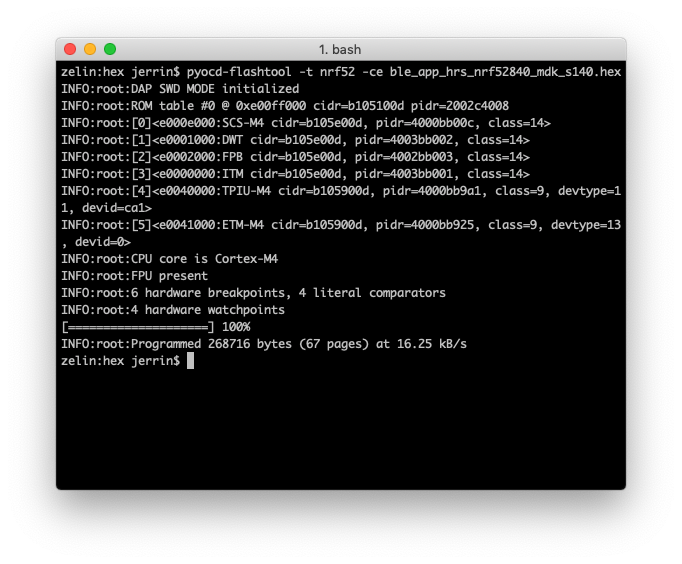 Terminal applications (for example PuTTY or screen) run on your host PC. They provide a window where your board can print messages. Download the Arm Mbed Windows serial port driver. Plug in your board over USB. It mounts as a drive. Close all Explorer windows showing the drive. Run the installer. This may take some time or display a few "unsigned driver" warnings. 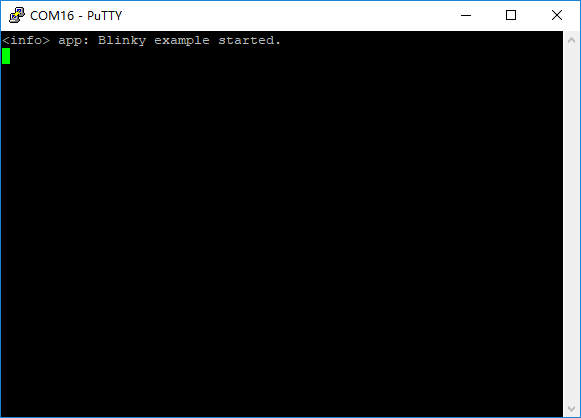 There are many terminal applications for Windows, PuTTY is recommended. 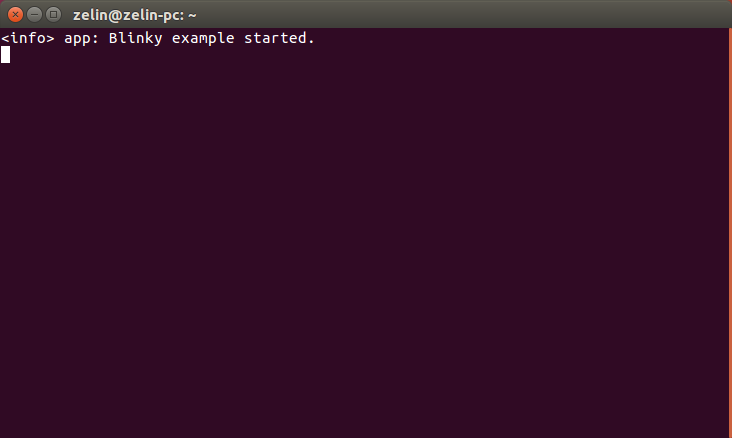 Start PuTTY and open the used COM port with the following configuration. If there is nothing printed, just press RESET button on the board. You can type screen /dev/cu.usb first, and then press tab. The device name will autocomplete. 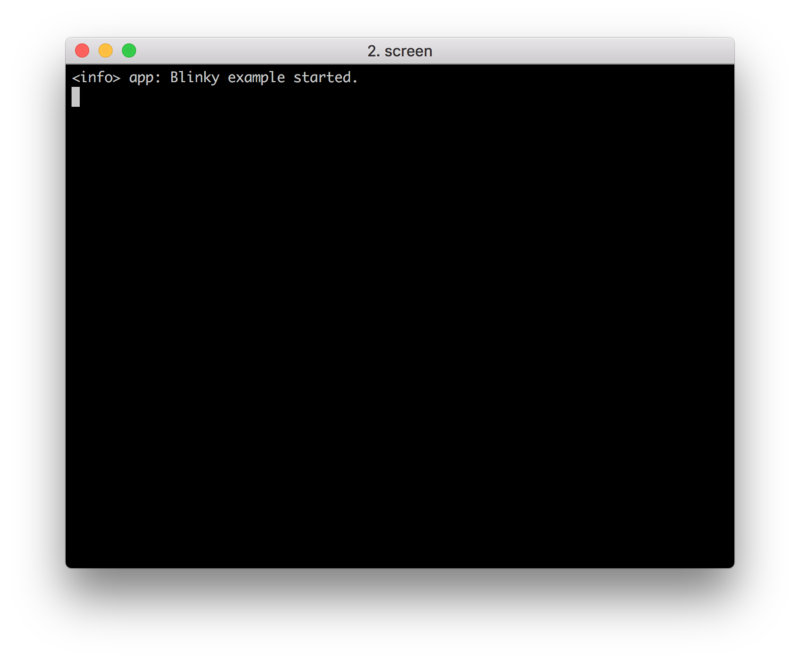 To end a screen session, type Ctrl + A, and then K. At the bottom of the Terminal window, you should see a [y/n] prompt. Type y. Here I will use screen on Ubuntu 16.04 for example. If there is nothing printed, just press RESET button on the board. Write 00 to the Nordic Blinky LED Characteristic (0x1525) and observe that RED LED is turned off. 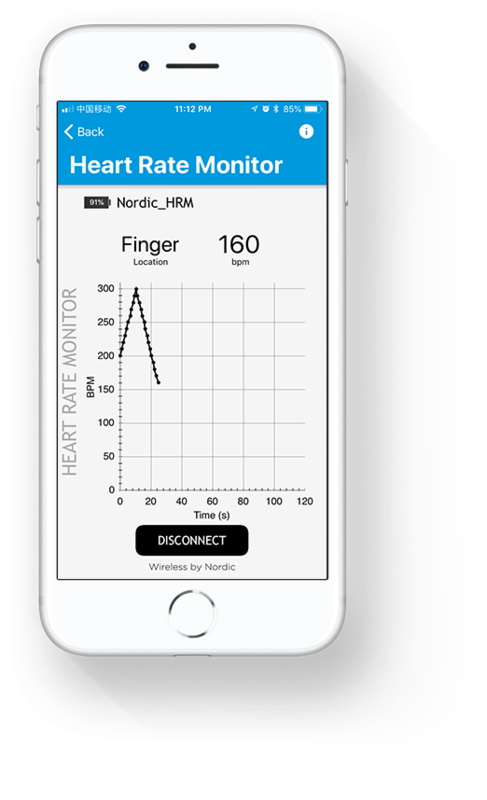 Take the Heart rate monitor demo as an example. 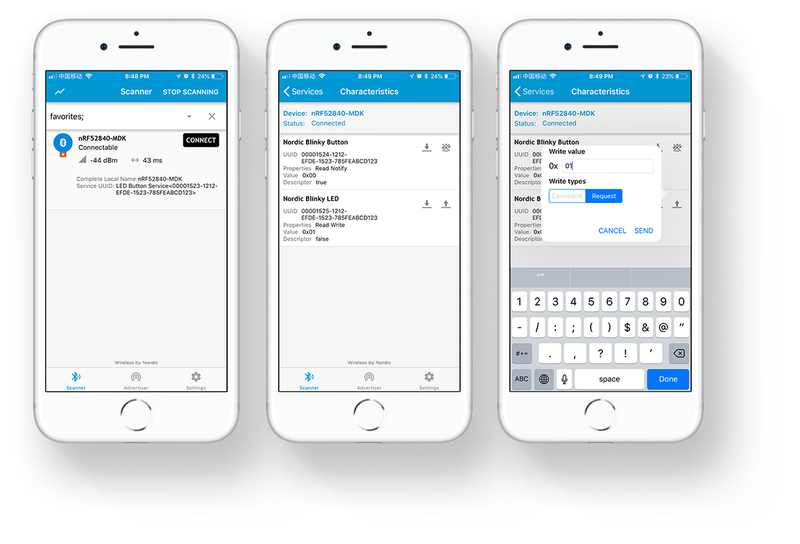 Make sure you have installed the nRF Toolbox mobile app before you start. Just search nRF Toolbox in the App Store or Google Play. Drag and drop the hex file into the DAPLINK removable drive mentioned above. 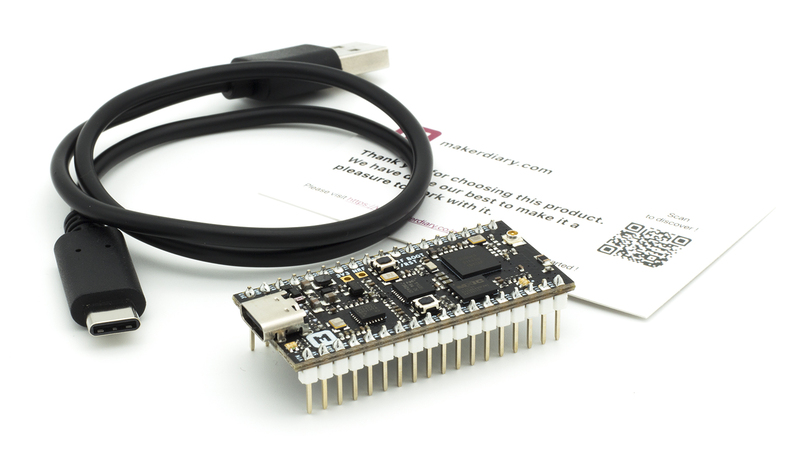 The file contains firmware which will be automatically programmed onto the nRF52840 SoC. When programming is completed, the removable drive will be re-detected by the computer. The application will run after pressing the RESET button. You should merge the application and SoftDevice before drag-n-drop programming an example with SoftDevice. mergehex can be used to merge the hex files. You can find it in the nRF5x Command Line Tools. After programming the demo firmware, you can interact with the nRF Toolbox mobile app to check if it works correctly. Open the App and tap HRM icon, and then connect your board which is advertising as Nordic_HRM. The nRF Toolbox app displays the curve.